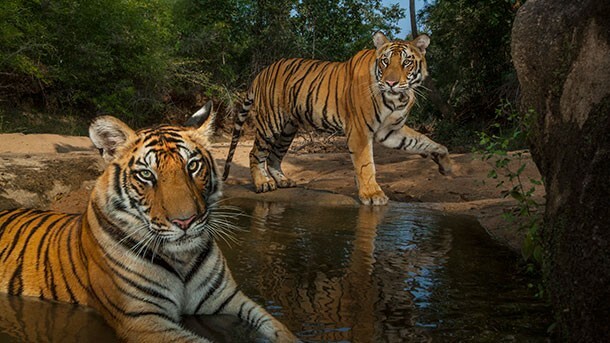 Nat Geo Live: On the Trail of the Big Cats is at the INB Performing Arts Center Tuesday. WORDS | Whitworth is hosting Dwight Hopkins, professor of theology at University of Chicago Divinity School and term professor extraordinarius at the University of South Africa, for an African American History Month lecture titled “What Is a Christian Black Theology of Liberation?” Should be an intriguing discussion. FILM | National Geographic Live! is back at the INB with an edition called On the Trail of the Big Cats, and Award-winning National Geographic photographer Steve Winter shares his fascinating close-up encounters with tigers, snow leopards, jaguars and cougars. Oh my! FOOD & DRINK | Looking for a cheap date for Valentine's Day? Beat the crowd by hitting this Wine & Chocolate Tasting in Hayden, which is completely free! FOOD & DRINK | Another day, another option for Valentine's Day. Hit up The Chocolate Affair in Coeur d'Alene, cruising downtown for sample and sips.